I have been experiencing some restless nights. Part of that is my body's time clock and the other part is my room is not dark enough for me. I have a blackout curtain that is supposed to block any light from outside but it is still not dark enough for me. 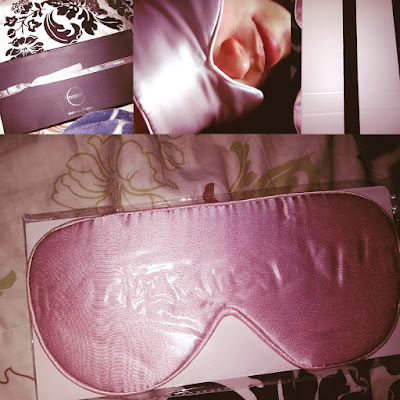 This is why I am very excited to try this chic pink Oosilk eye mask that I got in the mail. Unlike some other eye mask, this one is silky and skin friendly. I just tried it and it did provide some extra blockage for the light. Most of all, it is not only silky and adjustable but it comes with different colors as well. You do not have to settle on one color, you can have a his and her eye mask to claim ownership before getting a good night's sleep! This is a perfect gift for anybody so visit Oosilk and get yours now!